Carry out and catching up on the DVR (and usually it’s a week’s worth of Jeopardy’s). Food supplied by one of our faves: Baba’s, Nacho Mama’s, Mi & Yu or Matsuri. Or instead of doing a traditional dinner, graze on apps or put out a picnic spread. 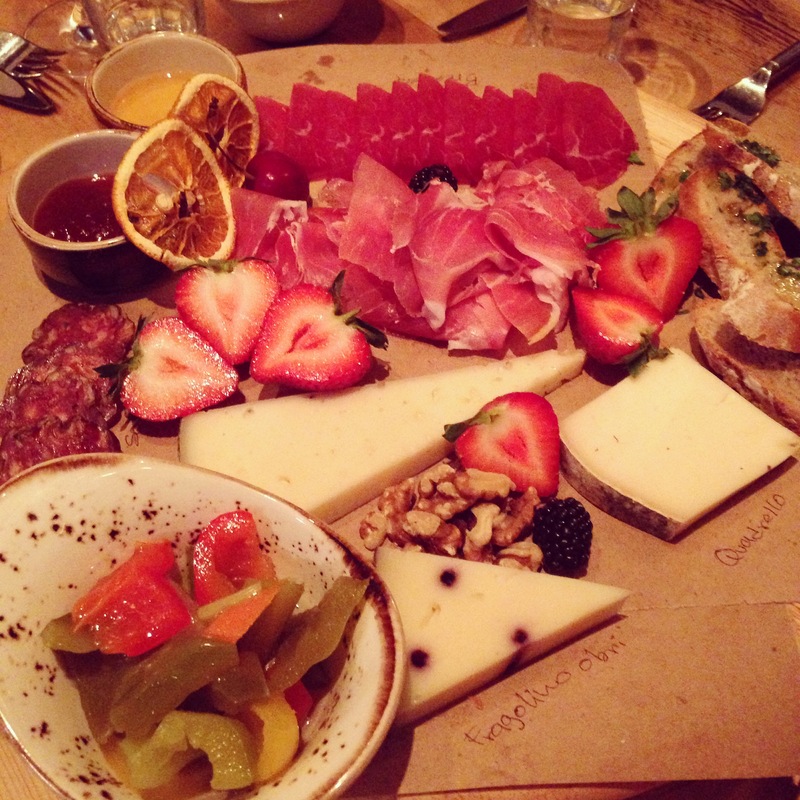 Charcuterie and cheese platter anyone? Open a bottle of wine or some seasonal beer and relax! Game night with friends. Friday is the perfect night for staying in, drinking in the comfort of your own home, and building the longest road in Catan. Happy hour in Harbor East. The best thing about going to happy hour on a Friday? You’re home by 9pm. A lot of great restaurants that we don’t eat at on the reg because they are too pricey have great happy hour specials like Ouzo Bay and Fleming’s. Visiting family. We’ll visit Adam’s parents in the county on Friday nights and bring Jack to run around in the yard with their big dogs. Jack tires himself out and we get to catch up with the fam. It’s a win win. Walk to dinner at a BYOB. Our current fave is Zaatar where I order the chicken kabob platter every. single. time. Flavorful chicken, salad, hummus, grilled veggies and crack pita. We also like Brendali, Byblos or Thai Arroy. Alright, alright, I realize that a lot of these are food related, but that’s the thing about Friday nights, you gotta eat, so you might as well make a date out of it! We cook dinner at home pretty much every night during the work week so it’s nice to be able to forgo cooking on the weekend. What are you up to tonight? I think we have carry out and Aziz Ansari’s new Netflix show Master of None on the agenda!